Karber's Blog: Karber Monthly Challenge 5: Movies! Karber Monthly Challenge 5: Movies! Happy New Year to everyone! It's time for a Karber Monthly Challenge! This month the theme is: Movies! 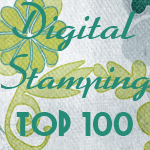 In Karber Shop you can find a lot of digital stamps related to this fun theme. Such as Twilight, Alice in Wonderland, Harry Potter, Edward Scissorhands, and more! Hope you can join us this month. Visit our Monthly Challenge blog to see the lovely cards from Pam and Tammy.